The creditor financing the car may repossess it if its owner fails to make car payments, is behind on payments or fails to purchase enough automobile insurance. Creditors may repossess the vehicle without warning and without a court order. There are several rules that govern how and when a vehicle can be repossessed. State laws vary about how and when vehicles may be repossessed. So in New Jersey, it is important to inquire into New Jersey law before making assumptions about vehicle repossession. Generally, creditors are able to take cars for which payments are in default. They cannot, however, keep or sell any personal property in the vehicle at the time of repossession without following the proper state law and must take reasonable care of the property until it is claimed. Creditors who fail to take care of debtors' personal property may be held liable for the value of the property in a lawsuit. It is important that individuals who anticipate being late on car payments contact their creditor as soon as possible. Often, creditors will work with debtors to work out a payment plan or other accommodations, though they are not legally obligated to do so. The most effective way to avoid repossession is to file for bankruptcy. This is a good option for folks struggling with outstanding debts who fear their car may be repossessed. Many states, including New Jersey, have laws to protect bankruptcy filers from repossession. In many cases, if you file bankruptcy quick enough you may recover the car even after it has been repossessed. When a debtor first files for Chapter 7 bankruptcy or Chapter 13 bankruptcy, an automatic stay is applied that prohibits withholding wages, pursuit of lawsuits to collect debts, foreclosure and property repossession by creditors. The stay continues until the bankruptcy case is resolved. Reaffirm that the debtor will repay the loan under pre-bankruptcy conditions. 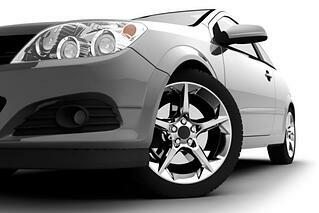 Pay a lump sum in the amount of the fair market value of the vehicle to the creditor. Surrender the car to the creditor. Surrender is often used as a last resort. Chapter 13 bankruptcy filers with outstanding car financing arrangements must pay their creditors. If the car was purchased within 910 days of filing, the debtors must repay the full amount of the loan, but may qualify for a reduced interest rate. If the car was purchased more than 910 days from filing, debtors must repay their creditor the fair market value of the vehicle. Bankruptcy is a vital lifeline for people struggling with debt who wish to protect themselves from vehicle repossession. If you or someone close to you has been threatened with repossession or have had a car repossessed due to late payments, please consult an experienced bankruptcy attorney for a free bankruptcy consultation.